As the people of Ambleside know the area around the church is private land for the use of those visiting the church and the graveyard. With the building of the Parish Centre ten years ago this has been extended as a courtesy to those using the Centre. 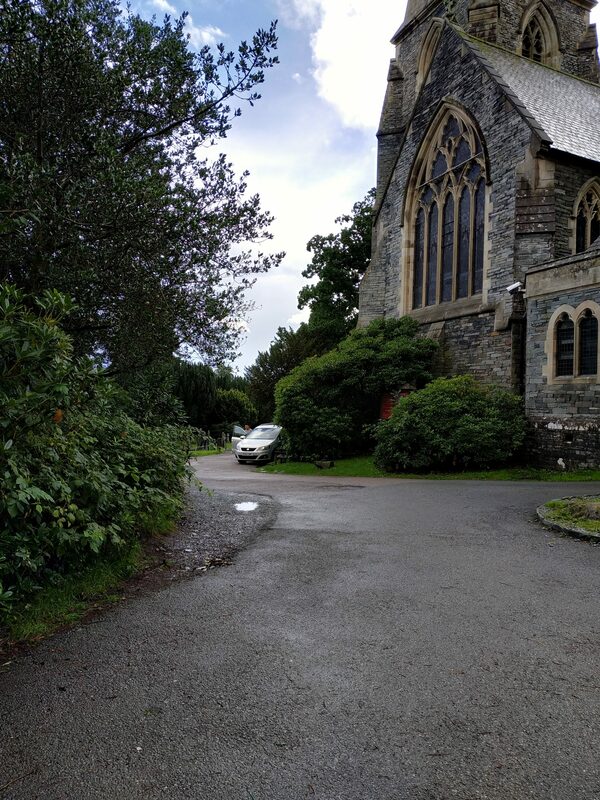 The PCC of St Mary’s Church, Ambleside have decided that after years of ‘make do and mend’ in the area around the church and graveyard, with volunteers filling pot holes and mending holes in the walls as they occur, that the time has come to resurface and remodel the area. This will facilitate a clear movement of traffic around the church and make it a more pleasant place to be. After a very long process The PCC of St Mary’s now have planning permission and DAC (Diocesan Church) agreement for the project. The building work on the area is now entering the last week. On Monday 29th November and Tuesday 30th November the tarmac will be laid. This means that for reasons of health and safety there will be no pedestrian or vehicular access possible. There will be parking at the Lych Gate on a first come first served basis for users of the Church and Centre. Please be considerate and do not park here for any other reason so that there is available parking for those who need it.